The Castor pencil sharpener by Alessi is a design from the Colombian designer Rodrigo Torres, who was inspired by nature’s lumberjack: the beaver. Instead of gnawing on tree trunks, the little rodent is nibbling on pencils with its sharp blade to make them nice and sharp for your next drawing lessons. The chrome-plated exterior gives the Castor pencil sharpener a certain elegance that stylishly enhances every workplace. Thanks to its robust nature and therefore heavier weight, Castor is also suitable as a paperweight, helping to keep loose papers in place. Its humorous design and practical features mean that Castor is the perfect office accessory for the home office or at work. Isolated product image of the Alessi - Castor pencil sharpener. 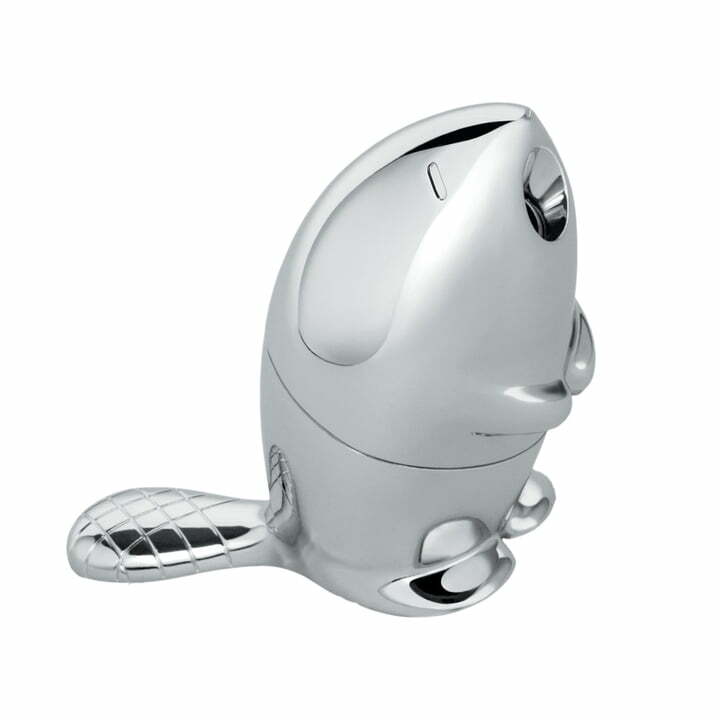 The Castor pencil sharpener by Alessi is a design from the Colombian designer Rodrigo Torres, who was inspired by nature’s lumberjack: the beaver. 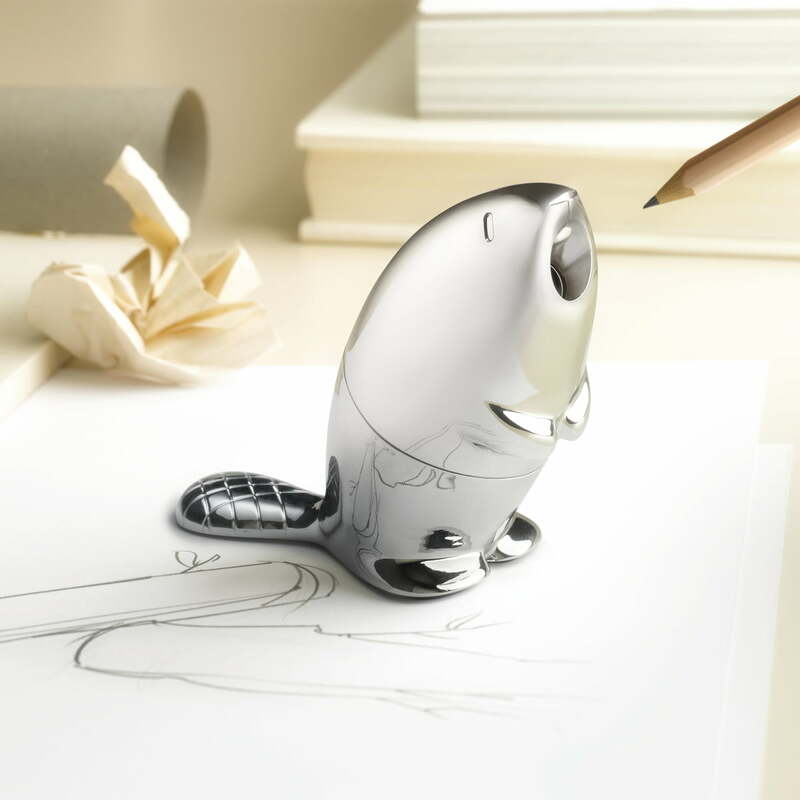 Lifestyle product image of the Alessi - Castor pencil sharpener. Placed on the desk, the cute pencil sharpener in the shape of a beaver is a real eye catcher.